When a Tennessee graphic designer decided to move an hour away, Comcast originally told him that he could move his business-class service and even set up an appointment for installation. But when the Comcast installer never showed up, the company finally told the man that (A) his new address wasn’t served by Comcast and (B) he owes the company nearly $3,000 in early termination fees. Comcast told him that he was in a 3-year contract for his business broadband service, and per the business-class terms of service [PDF] he owed a fee equal to 75% of the amount he would have eventually paid over the balance of the contract. The former Comcast customer, who said he’d never had any problem with the company until this incident, says he understands that there’s an early termination fee for those who cancel service, but he wasn’t attempting to get out of his contract. He’d tried to relocate his service and he’d been told that Comcast could install service at his new address. 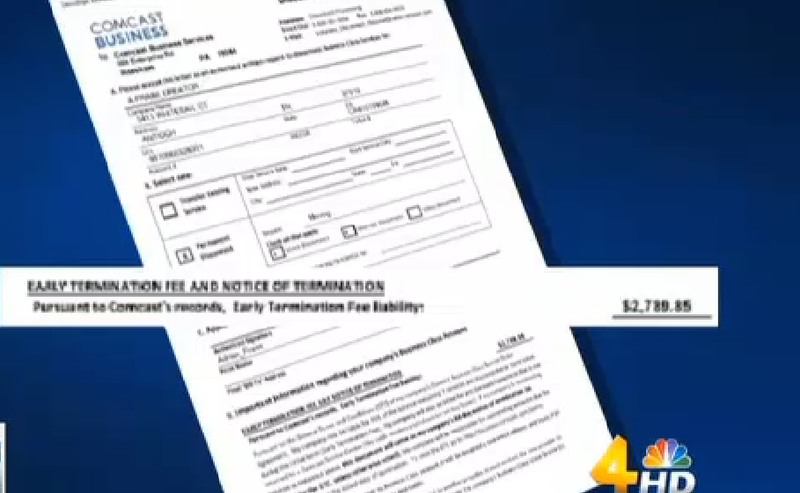 A rep for Comcast confirmed the early termination fee to WSMV but said there were extenuating circumstances in this case and that the fee is being waived.